The area where Annaghdown Parish Council functions is contained within four electoral districts, Annaghdown, Eanach Dhúin, Liscananaun, and Killower. 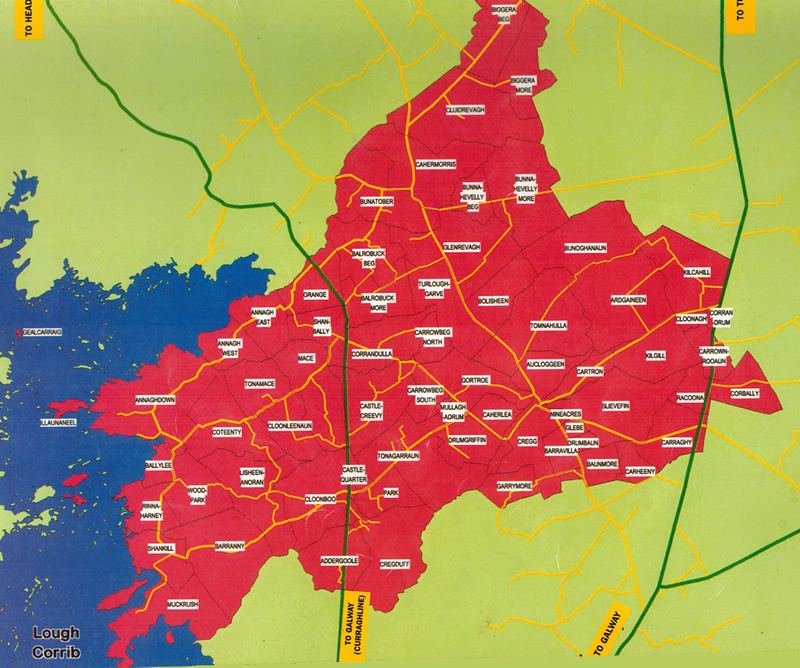 The entire population of Annaghdown and Eanach Dhúin reside in the area while local knowledge would suggest that approximately 90% of the population of the Liscananaun and 25% of the Killower reside within the parish area. The main object for which Annaghdown Parish Council is established, is to represent the best interests of the local population, through assisting with the organisation and delivery of such environmental, pastoral, social and structural services as are required in the area at any given time. See Full Origin and Early Activity of Annaghdown Parish Council document. Membership of Annaghdown Parish Council is open to all people, resident for the time-being, in its area. Annaghdown Parish Council is registered for tax purposes with the Revenue Commissioners and has been granted Tax Exemption on the basis of its Charitable Status.